Your ready to buy your perfect home. Perhaps you have always wanted that Cape Cod style home with a gorgeous view of the Potomac from your kitchen or maybe it was a Brownstone close to the hustle and bustle of a big city like Washington D.C. Whatever style home you chose, wherever you intend to live becoming a homeowner is an exciting time in everyone’s life. In order to make the big jump some planning and decision making is a must! Most mortgage lenders require a downpayment before you buy a home. The amount is determined by the type of mortgage you qualify for as well as how much you can borrow. According to the National Association of REALTORS®’ 2017 Profile of Home Buyers and Sellers the average down payment in 2017 was 10 percent. Depending on the size of the loan you need or would qualify for would tell you how much you would need to save. 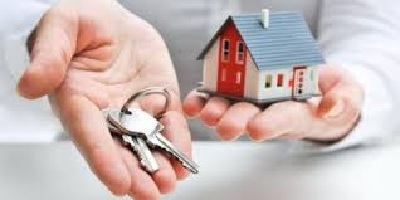 You want to find a skilled mortgage broker to help you with this process. You have that sizeable down payment now what? You need to look at your finances and figure out what you can afford as a monthly payment before you begin the home buying process. This is where open communication with a mortgage lender starts. A rockstar mortgage lender like Mike Farrell, will help you find the right type of mortgage that you can afford for at least the next 30-years nevertheless they will need to know how much you would like to pay per month so they can identify the loan type as well as the size of the loan you qualify for based on the percentage of your income as well as your existing debt. When you are getting ready to meet with a local realtor you should already have a list of some of the must have and must not’s for the ideal home you would like to buy. This helps steer your realtor in the right direction as well as keep you focused on what you want. Perhaps you want a home with little to no stairs or a kitchen with double ovens? Think about what neighborhood you want to be in? Are you looking for that downtown fell like what One Loudoun offers or perhaps something more quiet like Rivercrest. What school district appeals to you? Would you like to be closer to work or a metro station to minimize your commute? A quintessential realtor would ask these questions in order to help you find you the type of home that you will fall in love with the moment you lay your eyes on it! Call Team AGC today at 703-574-3478 and see how we’re helping our clients find their dream homes.